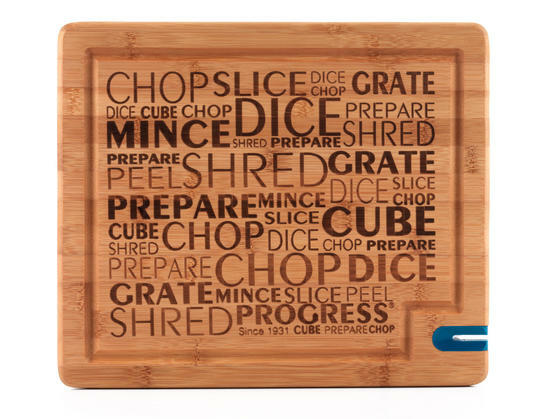 Made to withstand the demands of a busy kitchen, this Progress bamboo chopping board has a contemporary design and is the perfect addition to your worktop. Brilliantly versatile, you can use the board every day whilst making packed lunches for your children, preparing ingredients for a large family meal or to serve cheese, cooked meats and more when you have guests. With a built-in ceramic knife sharpener, you can conveniently sharpen the blade of your knife before slicing, chopping and dicing. 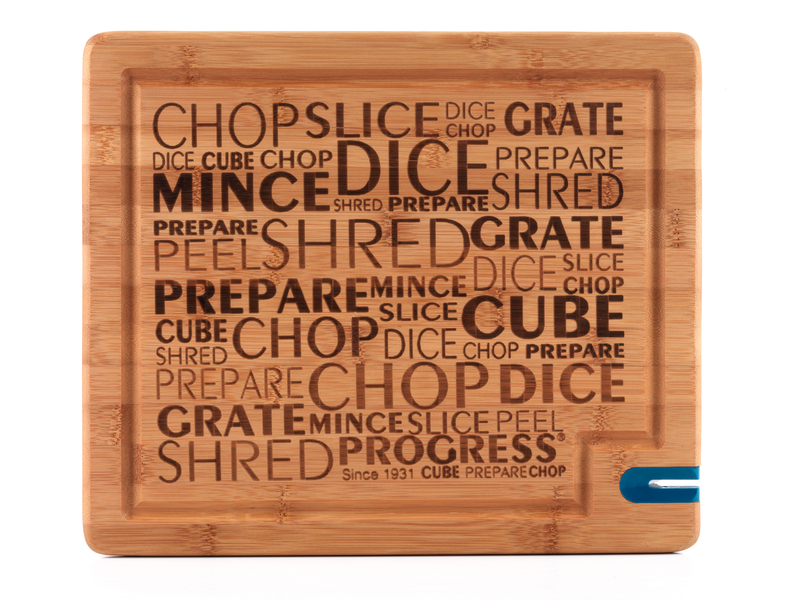 Natural and sustainable, this Progress chopping board is made from bamboo, stronger than most hardwoods yet brilliantly lightweight. Protect your kitchen worktops from unwanted scratches and stains, simply by using this board for any of your food preparation needs. With reversible sides, you can easily avoid cross contamination of different food types for effortlessly hygienic cooking every day. The multipurpose board is ideal for all kinds of foods and features a ceramic knife sharpener to keep your knives in prime condition. 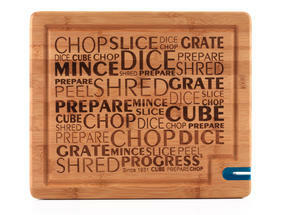 Cleverly designed with a juice groove around the edge of the board, all it needs is a wipe clean with soapy water to keep its quality.